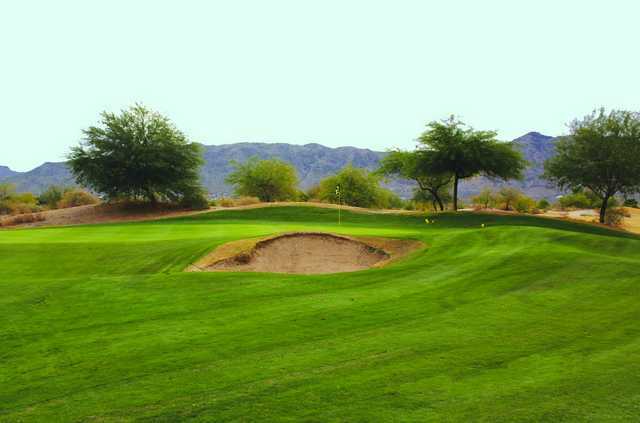 Located just southwest of downtown Phoenix, Aguila Golf Course is the latest addition to the municipal golf offerings in the city. Along with an 18-hole championship golf course designed by Gary Panks, the nine-hole executive layout onsite allows beginners and youth to learn the game on a less intimidating course. Aguila's short course plays just over 1,000 yards, while a driving range and teaching academy are also located onsite for golf lessons and clinics. We love it the short course is more challenging then most par 3 courses and greens are well kept . City of Phoenix, Thank you!!!!!!! My wife and I play all over the valley including Scottsdale, We will recommend this course to all.